Stephen's Mother: Kate is out there. You have to keep on loving her. Loving her is different to missing her. It will find her. She is... somewhere. ...In that, after finally getting around to seeing it last night, being unsure as to whether I disliked 'The Child in Time' or not. It does have some good things and it's to me nowhere near as bad as some of the reviews have said. However, considering the cast and the subject matter, 'The Child in Time' could have been so much better and it is easy to understand why the reaction to it was mostly mixed to negative. As well as having talented actors on board (Benedict Cumberbatch has rarely disappointed me, even in lesser projects where he tended to be one of the better assets of them) and that it touches on the very sensitive and daring subjects of a missing child and nervous breakdowns, 'The Child in Time' is also adapted from wonderful source material from Ian McEwan. Talking briefly about how it fares as an adaptation, 'The Child in Time' underwhelms, the book has much more depth, more consistent emotional and harrowing impact and the storytelling has far more clarity. As has been said many times by me, adaptations deserve to be judged on their own terms, on that front it's to me neither great or terrible, the unevenness of it makes it a tough one to rate and review. 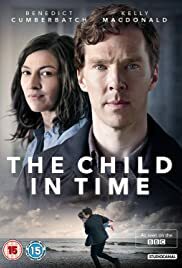 Starting with 'The Child in Time's' good things, where it fares most strongly is the acting, which is mostly very good with a couple of exceptions (Elliot Levey doesn't register in a heavy-handed and underwritten character that could easily have been cut out entirely). 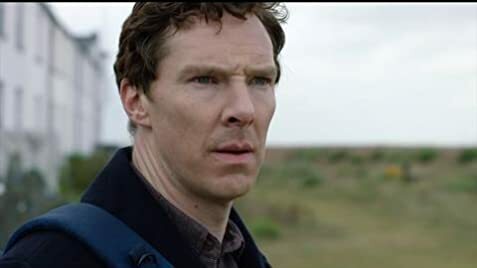 Benedict Cumberbatch gives a performance of true understated poignancy and honesty, a truly courageous role to take on and he does it justice with one really feeling his anguish and pain. Likewise with Kelly MacDonald, who in her emotional scenes wrenches the gut and heart without being overwrought and she also charms. The two have terrific chemistry together and succeed in portraying the emotional toll of one of the worst situations ever for a parent. Stephen Campbell Moore is touching in a more difficult role than one thinks and the bravery of his performance is equal to those of Cumberbatch and MacDonald. Saskia Reeves is a sympathetic presence. Apart from some jumpy editing where transitions seemed rushed and sudden, 'The Child in Time' looks good, especially in the beautiful and suitably bleak locations. Had no problem with the photography like some did, which is slick and matches the thought processes of the characters very well, as an epileptic who can be sensitive to the technique used. there are films and television shows that overuse and abuse it far more. The music score is haunting and soothing. There are elements that work well in the story. It starts off very well, starting off in a tense and affecting way. The outcome of Charles' story, the scene in the school and the eulogy were particularly emotionally powerful moments and while it was not focused on enough the main story resonates and is handled sympathetically. Cumberbatch, MacDonald and their chemistry have a lot to thank for this. However, much of the story execution could have been much better. Not enough time is devoted to the missing child story, which was the most interesting and well done part, and focuses too much on elements that are nowhere near as interesting or well developed. Charles' subplot had its moments, like the interplay between him and Stephen, but should have gone into more depth and not been as confused. More problematic were the pub/time, prime minister and the Child Education committee elements, the first made no sense whatsoever and was severely under-developed, the second was pretty pointless and underwritten and the third felt shoe-horned in and it felt disconcerting that for a Child Education committee it seemed they had their own interests at heart and not the children's. Writing had its moments, like the eulogy scene, but tended to be stilted and contrived. Structurally it was pretty scattershot where the back and forth was not always as clear as it ought to have been and it often felt like the writers didn't know what its primary focus was. The middle third, which was where things started to fall apart, drags. Apart from Stephen, Julie and Charles, the characters are either thinly sketched or superfluous. Really do have to agree with everybody who said that the near-universally panned ending is a huge let-down, far too abrupt, tacked on, rushed and left too many things unresolved (especially when it had a lot of strands that were crying out for resolution). In fact the whole thing felt incomplete.